Financial Help for Pregnant Women. There is help available for pregnant women and expecting teens through government benefits like TANF, WIC, Medicaid, and SNAP. If you are a teenager, low-income, and expecting you may qualify for pregnancy assistance. You can get help with medical, food, infant supplies and more. You can get the support you need when you qualify financially. You can receive financial support and free baby supplies available for you and your unborn child. Many charities, community organizations, and government agencies extend a hand to help. We will show you where to get help and how to qualify for help. WIC or Women, Infant and children benefits are available for pregnant women in need of assistance to maintain and deliver a healthy child. The WIC benefits program provides food vouchers from the time the women is a few months pregnant until the child is 5 years old. These nutrition benefits are a great help and the vouchers are accepted at most supermarkets. In addition to food, and infant formula, the program gives breastfeeding support and help for postpartum women. See if you are eligibility guidelines, here. The federal government provides financial help for pregnant women in the way of TANF. This Federal program provides financial support and childcare to financially deprived pregnant women, pregnant women, and teens. Cases are reviewed every few months to determine if there has been a change in the financial status. The goal is to give temporary financial support until the mother can become self-sufficiency. This is not a permanent grant. The financial subsidy can be used to purchase foods, clothing, housing, utilities, and medical supplies. 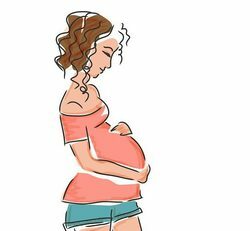 TANF for Teens – For a pregnant teen to receive TANF they must live with a parent, guardian an adult over 18 years old, or in an adult-supervised supportive living arrangement. In these cases, it is the parent, legal guardian, relative, or other adult is the payee on behalf of the minor parent and his or her child, until the mother turns 18. Many Catholic Charities have programs that provide financial assistance for pregnant women. They also offer abortion alternatives for an unplanned pregnancy. They also offer family counseling, job training, and parenting classes. The goal of this program is to teach young mother the importance of bonding with their babies. They offer a 13-week “Bonding Right from the Start” course for pregnant women. Other topics taught are breastfeeding, soothing touch, child safety, eye contact and proper nutrition for brain development. Hello Tonya. You may qualify for government assistance. Go the Department of Social Services to apply for assistance. Look for an apartment and they or HUD will give you security deposit and first month’s rent. I am concerned about you having some type of support system when you get out. (family, sober friends) . Please Contact the Salvation Army which can help you with aftercare support and counseling. My name is Tonya Jordan.. I am currently living in a halfway house in Lincolnton N.C. called Gaylains House of Hope. I am almost 6 months pregnant with a baby girl and Im in recovery and have been sober for 5 months now looking for housing. If you could help me please reply soon. I cant stay here much longer and i need housing for me and my unborn baby. Thank You and God bless!